I Have Been Getting a lot of queries via Facebook inbox and emails where newbies requesting different paid ThemeForest original themes for free because, in the start of their online career, they cannot invest too much and most of the nulled themes contain virus/malware code which can harm their websites. So here is a secret trick I gonna share where anyone can download paid ThemeForest Themes for WordPress or any other products. Same method you can also use to get free download files from codecanyon, videohive, audiojungle, graphicriver, photodune, 3docean. I am sure 70% chances you will get success. 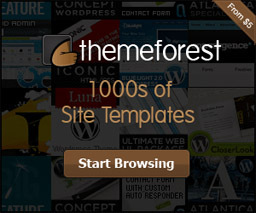 So here is the secret method to get free ThemeForest Themes :). Step 1: First of all, go to Themeforest or any of their other above network sites and search around your required theme you want to download and go to its sales page. Step 2: Let’s suppose, your desired theme is “Sahifa – Responsive WordPress News“, its URL is “https://themeforest.net/item/voice-clean-newsmagazine-wordpress-theme/9646105” and you want to download it’s original file for free, the secret trick in this method is URL of the theme contain in 2 parts “The Theme Name and the Theme Number” as showing in the screenshot below. Step 3: Now google the following 2 Search Queries with quotes and without quotes unless you get the required files. Screenshot as showing below. Final Step: You will get what you were struggling. In most cases, you will get the original files downloaded by the paid Themeforest members and uploaded in their sites. They may be older or latest versions but 99% chances they are not nulled. Don’t forget to share with our readers, if you know any other method relating to the trick. 0 Response to "Secret Trick to Get any Paid THEMEFOREST Original Theme/Template for Free"